The apartment is fully furnished. It has two big bedrooms, a bathroom with a bathtub, a big kitchen, a living room and a big balcony. Suited for children. 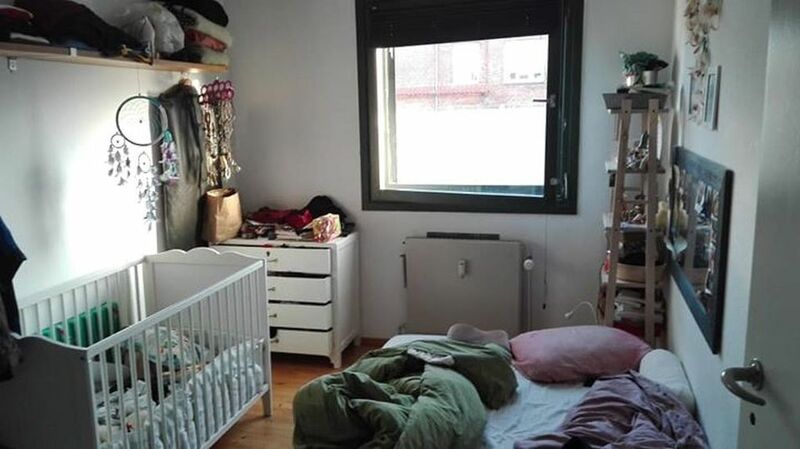 The apartment is located in the most vibrant neighborhood of the city, called Norrebro. Many small cafes and restaurants just around the corner, many local second-hand shops and markets during the weekend. At the beginning of the Green Belt bike path (Gronne stig). 2)S-TRAIN line F, stop at Bispebjerg station. Walking distance 500mt. The apartment is 4 kilometers walking distance from the center of the city, Tivoli, City Hall and Nyhavn.